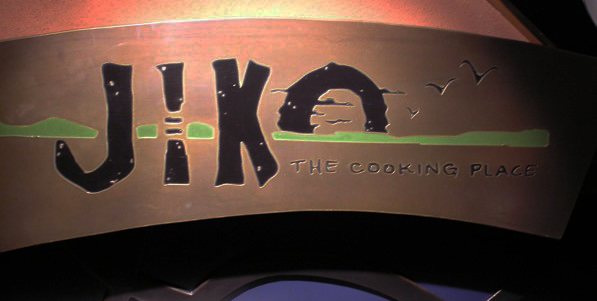 The kids loved this restaurant. We ordered the allergy safe Naan and three dips including the hummus which our daughter ate with a spoon. She loved the bread, we were okay with the bread (I personally would have preferred the regular Naan, but we wanted to keep things inclusive for the table. For allergy free Naan it was delish! A treat for gluten free folks for sure! Our daughter really wanted curried lentils but they were not on the allergy kids menu. No problem at all for her. The chef was happy to make her the fish and give her sides of lentils and Israeli couscous. Kids were not a fan of the mango sorbet here (too sweet compared to what they are used to at home), but they picked it from a few options..so that was not for lack of choice. Overall our daughter loved her meal here-she said it was her favourite non character meal. We had a great window table. If you would like to review Sanaa or any Disney restaurant, submit a food allergy dining Quick Review. This quick review was provided by Dan, whose mate is allergic to tree nuts. 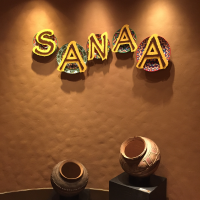 For day three of my recent Disney trip, I convinced my companion to try eating at Sanaa at the Animal Kingdom Lodge resort. Given that he doesn’t like Indian food, this one was a challenge for both of us. First up, I have to give major props to the chef who helped us here. I believe her name was Carroll. She was very sweet and understanding, considering that I was very high maintainance about my food. One thing that I immediately liked about this restaurant is that they have special menus designed for nut allergy guests, showing what one can eat, while omitting everything else. Indian food in restaurants scares me, because I know they often use nuts as thickeners, and because some of the ingredients are unfamiliar to me. I went with the safe option – tandoori chicken. Though I was still armed with a boatload of questions. The chef presented me with a full list of all of the ingredients in the dish, and even checked some bottles to better answer my questions. 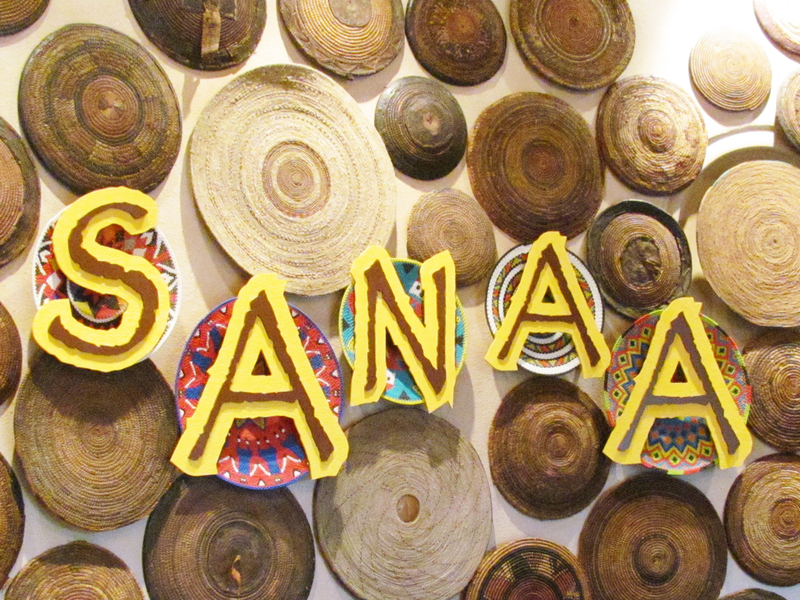 One ingredient that I was nervous about was Tanzanian olive oil. I’ve read some stories about olive oil being occasionally diluted with hazelnut nut oil overseas, so I had some worries with that item. The chef was very understanding and ended up making a special version of tandoori chicken for me using the ingredients that I was comfortable with. For dessert, there were three safe options – bamboo rice pudding, margo sorbet, and a fruit kulfi. They were also open to me getting the chai cream as well, though its not on the dessert menu proper (but part of a trio dish). In the end, I opted to not eat dessert (I was full and didn’t really feel like experimenting any more for one night). were really great about accommodating his culinary preferences as well. This quick review was provided by Sheri, who is allergic to peanuts, cashews and pistachios. The chef came out and went over everything at the buffet that had nuts or peanuts in it, so my husband or I did not take anything with nuts. Then asked my son what his favorite foods were and told him that he would make him anything he wanted. They brought him chicken fingers, mac and cheese, fries and veggies. All prepared safe and separate. It was so great that they gave him a variety of things and made him feel like he was eating at the “buffet”, too! Then they made him a safe very special dessert!! 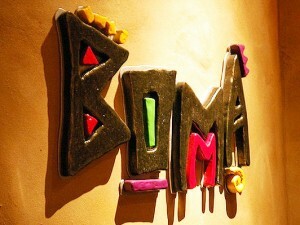 If you would like to review Boma or any Disney restaurant, submit a food allergy dining Quick Review.